Smoked Meat Sunday earns money from selling our own products, displaying ads, and earning a commission by recommending affiliated products. 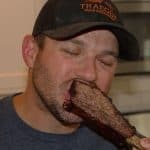 My goal with Smoked Meat Sunday is to always serve you. Products that are featured are only chosen if I believe that they help me in that mission despite any affiliate commission. 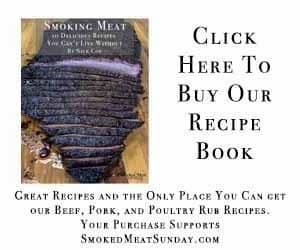 While there are products and services featured on Smoked Meat Sunday that have no affiliate partnership, it should always be assumed that any link on smokedmeatsunday.com is an affiliate link as we constantly seek to create partnerships where one isn’t currently offered with products or services that I recommend to you.